I am not in Spartan Recovery because I’m a Spartan. I am a Spartan because I’m in Spartan Recovery. I started my college career in 1994 before many of my classmates were even born. At that time, I had a husband, two small children and a habit that was already more than a habit. I attended the University of Maine off and on for three and a half years. In that time, my marriage ended, and I lost custody of my children. I had no degree — but plenty of debt — and the closest I came to having a career was being a professional drinker. It took me 13 years of pain and suffering before I finally found recovery in August of 2007, and it took me another eight years to finally find the courage to go back to school to finish my degree. Could I make friends? I’m so much older than most of the people on campus. Hell, I’m even older than some of my professors. And how does one even go about making friends on campus anyway? Where are the extracurricular activities for sober adults on campus? I spent most of my first semester at the University of North Carolina at Greensboro (UNCG) alone. I actually did quite well in my classes — it’s amazing what you can retain when you aren’t clouding your mind with various chemicals — but I certainly did not feel as though I fit in anywhere on campus. I even took an extra class so that I didn’t have to spend time between classes by myself. I had resigned myself to simply obtaining my degree. My chance for a true college experience had passed me by. My age and my sobriety meant that there was no place on campus for me. It wasn’t until the fall of 2016, when I had to walk through a campus resource fair to get to one of my classes, that I saw the health services table and asked if there was anything on campus for people in recovery. A ray of sunshine popped up and grabbed hold of my arm! It was Terri Spears, the coordinator for the UNCG Spartan Recovery Program. In less than two days, I had completed my orientation and was a full-fledged member of the Spartan Recovery. I became involved in campus activities, sober tailgating, alcohol-free fun night, homecoming and even a great gathering called Taking Back 4/20. Thanks to Recovery Zone training, I learned to recover out loud. I was no longer hiding who I was. 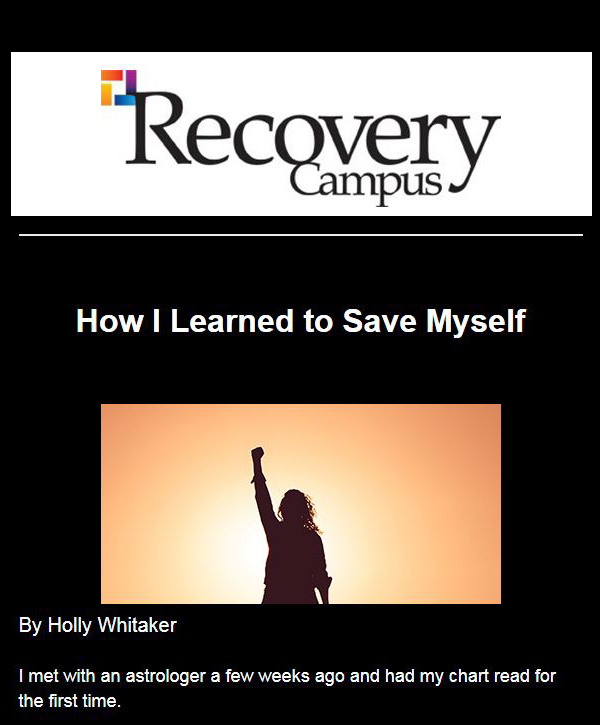 I had a new identity as a person in recovery, not just an alcoholic. I was proud to wear my T-shirt proclaiming my membership in Spartan Recovery. 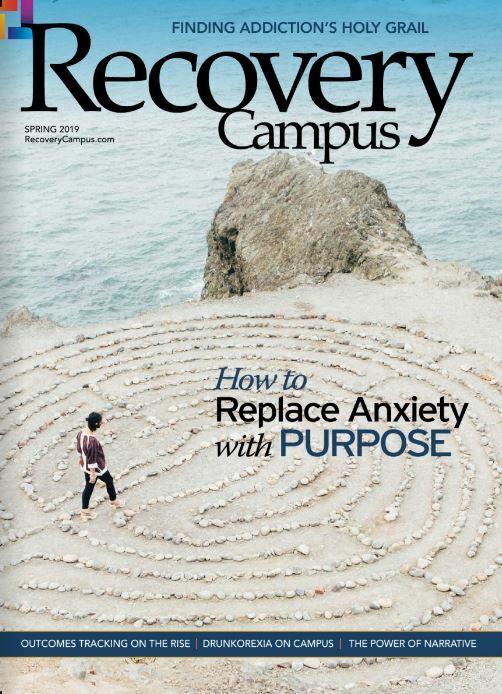 I loved speaking up in my social work classes about the impact of substance use on individuals as well as families, and, even more so, I got to espouse the wonders of recovery and address all the amazing changes in my own life. I’ve become the go-to person in my classes who people seek out when they have questions about recovery. I’ve spent many hours having coffee and discussing substance use issues with young adults who have never examined the impact of addiction on their lives and their families. 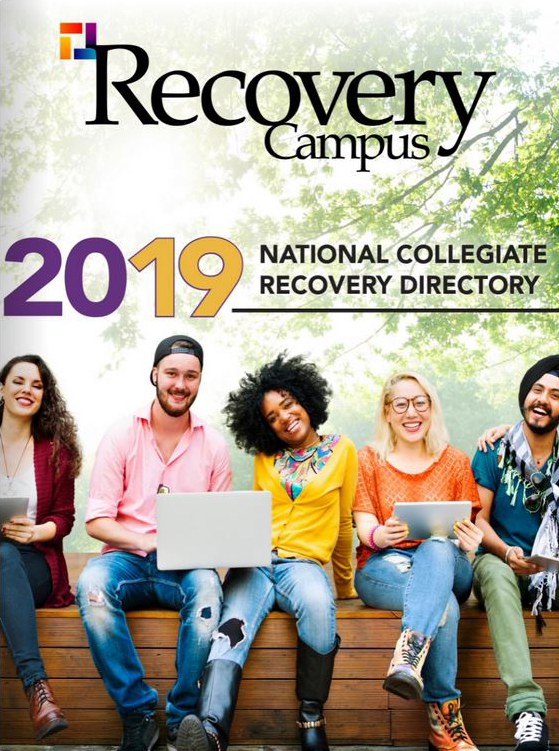 I know where to steer folks who want to know more about collegiate recovery, and they know that I am a familiar face and a friendly voice when they need it. I have become a part of the Leadership Committee and completed peer support specialist and Wellness Recovery Action Plan training with some of my fellow Spartan Recovery Program (SRP) members. I was honored to be a part of this year’s panel discussion after showing The Anonymous People documentary for National Recovery Month. I have had the opportunity to attend several conferences on collegiate recovery and meet students from up and down the East Coast. Undoubtedly, one of my proudest moments came when I got to wear my purple cord (purple represents recovery) along with my cap and gown during my Bachelor of Social Work graduation ceremony. I now serve as a role model to my own children and have given them the knowledge that lifelong recovery is possible and with it comes the chance to fulfill your dreams. I returned to UNCG and SRP this year as a graduate student in the advanced standing Master of Social Work program. It has been an incredibly stressful and difficult program. I am enrolled in graduate classes, interning and working as a graduate assistant to pay my tuition. I have laughed, cried, screamed, sweated and prayed many times this year. But I haven’t had to pick up a substance. I attend a women’s group regularly and the co-ed group when I can. I call, text and have coffee with several members of the SRP program as often as possible because, without that support, I don’t think I could make it through this year. I don’t get to do as many of the fun activities as a graduate as I did as an undergrad, but I still get to be connected to SRP and the people in it. Last year, we were asked for a parting quote for the SRP alumni legacy scrapbook. My quote is still fully true today: “I am not in Spartan Recovery because I’m a Spartan. I am a Spartan because I’m in Spartan Recovery.” Having recovery on campus has made my college experience a true joy. I’m so proud of the folks in the beginning who were at the helm and supported our collegiate recovery community being created at UNCG. I’m looking forward to my graduation and starting my career, but I will always feel like a part of this school because of this program. Sheilagh Harrington will complete her Master of Social Work in May 2019. She is interning in geriatrics and hopes to continue her work in this area or hospice after graduation. 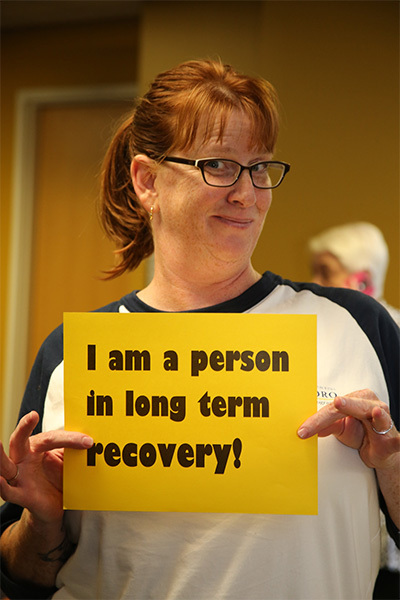 For more information about Spartan Recovery at UNCG, contact Terri Spears at t_spears@uncg.edu or 336-334-4559.